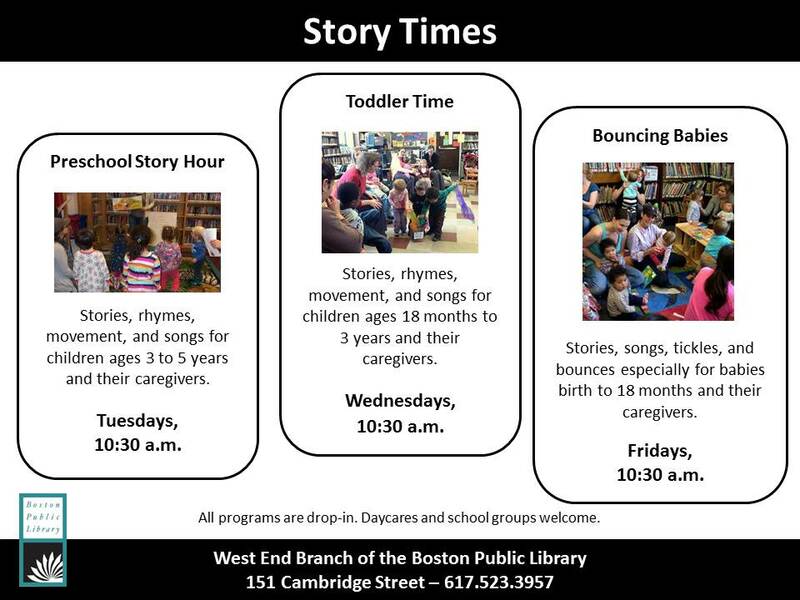 Drop by the Boston Public Library’s West End Branch for weekly story times. Stories, rhymes, movement, and songs just for young children and their caregivers! Next articleNorth End Baseball Season Opens!